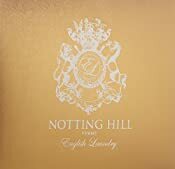 English Laundry Notting Hill Femme Eau de Parfum Spray Gift Set, 3.5 lb. 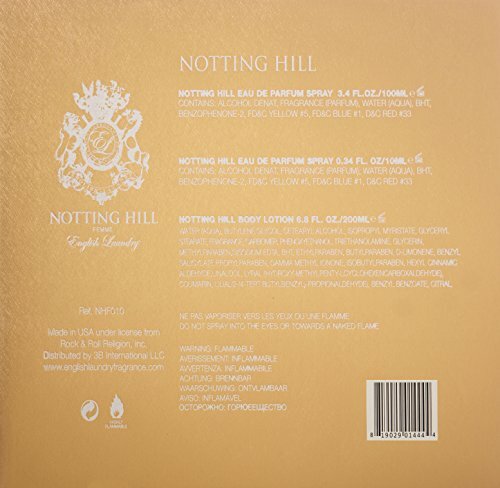 Notting hill femme opens with bergamot, madarin, cassis and ozonic. 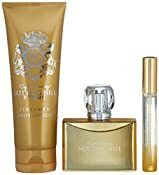 The mid notes are jasmine, herbal, rose and green notes. 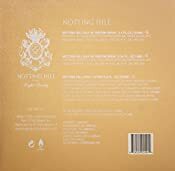 The base notes are powdery musks, woody, vanilla, caramel, amber, vetiver and patchouli.